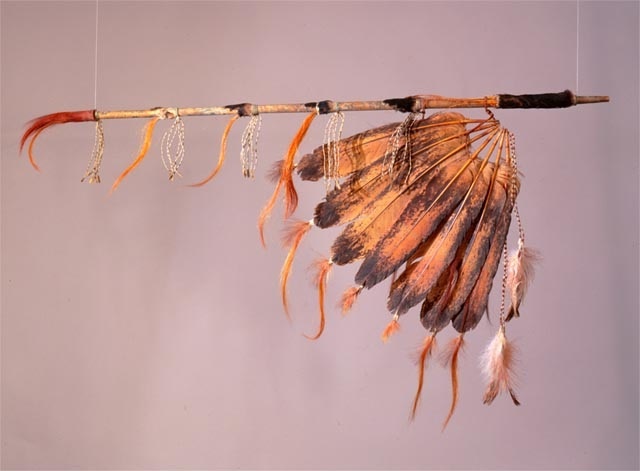 A Lakota (Sioux) chanunpa pipestem, without the pipe bowl, displayed at the United States Library of Congress, courtesy of Wikipedia. Since I am interested in learning and sharing content about indigenous peoples, I find that many of the cultures and traditions are from around the globe. Here in the US, it is harder to locate authentic and accurate information about indigenous people, but it is possible. One of the ways that I connect with indigenous cultures of North America is by learning about their ceremonies, more specifically the sacred tobacco ceremony. While searching on the internet, I found a description written by Nicholas Breeze Wood which seemed to match my understanding of the sacred tobacco ceremony.